I saw the top half circulating on Facebook and thought it needed updating, so I added the bottom half. 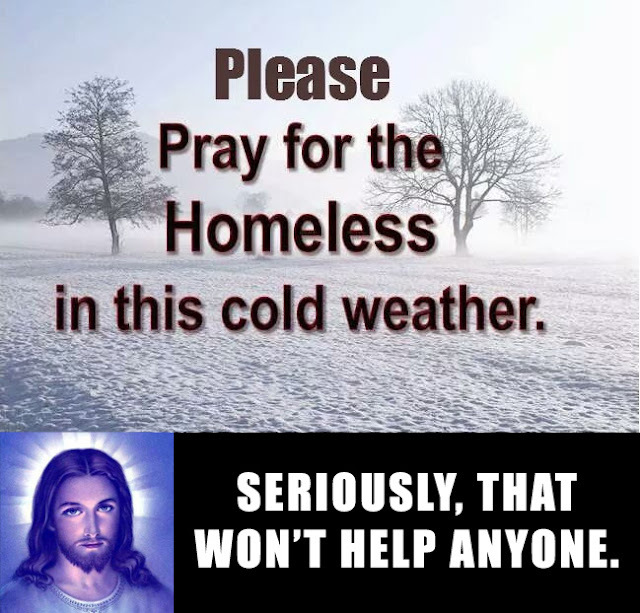 There are many ways to help the homeless this winter. Prayer isn't one of them.